Ellenton is perfectly modern in every sense of the way. High-tech electronic gear and other pieces are easily accessible from two open shelves. 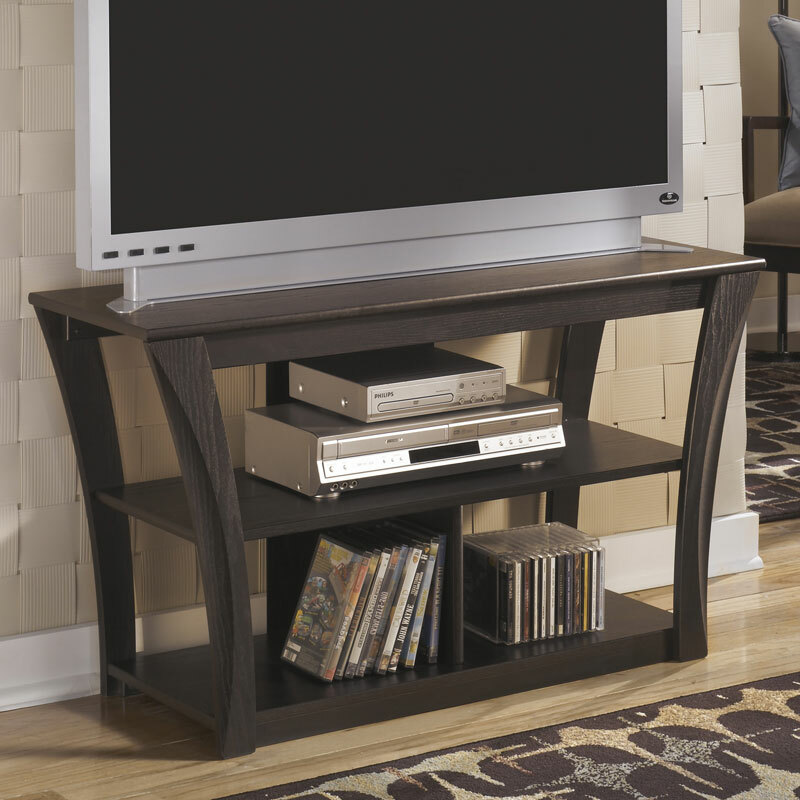 Narrow back panel conceals unsightly cords while still allowing for an open, airy design.